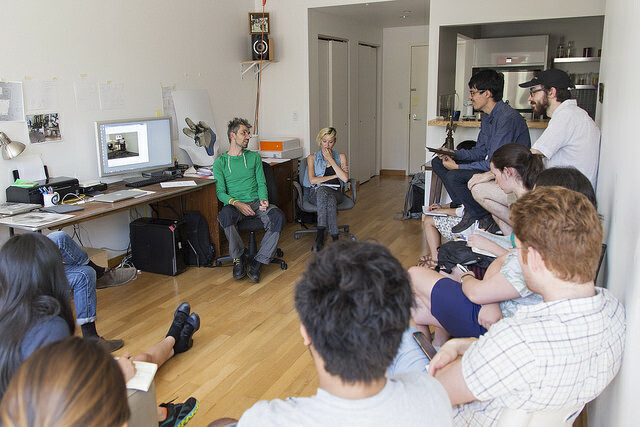 Eva and Franco Mattes led a seminar in and around their studio. At the end of our first week, we started at MoMA where we visited the Lygia Clark exhibition and MoMA Studio: Breathe With Me. 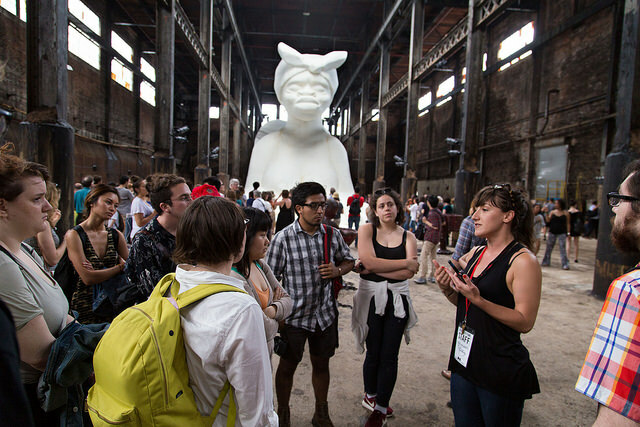 Then we headed to Chelsea to talk with Ernest Larsen and Sherry Millner, and ended the day with a visit to Kara Walker’s “A Subtlety” at the Domino Sugar Factory, where we talked to Creative Time’s Project Manager Jean Cooney. 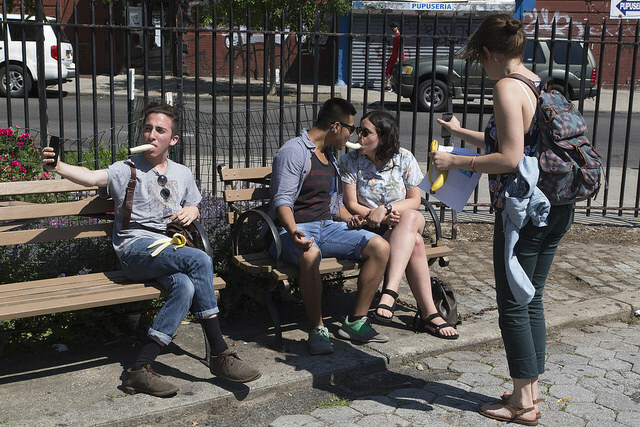 Applications are being accepted for the 2014 New York Arts Practicum, a summer arts institute where participants experientially learn to bridge their lives as art students into lives as artists in the world. 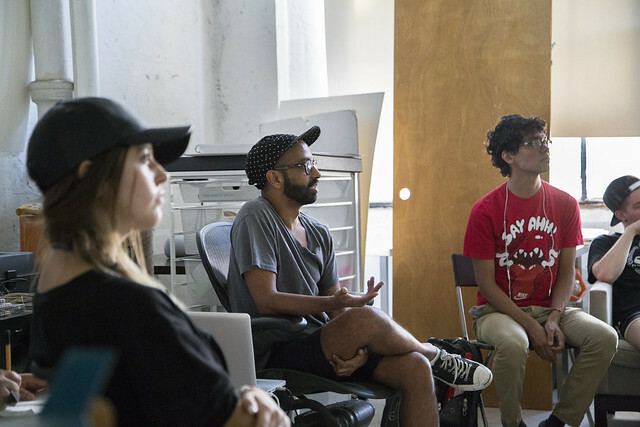 The program is structured around apprenticeships with mentor artists, a critique seminar where participants produce work without access to their institutional facilities, and site visits to artist workspaces, galleries, and museums. 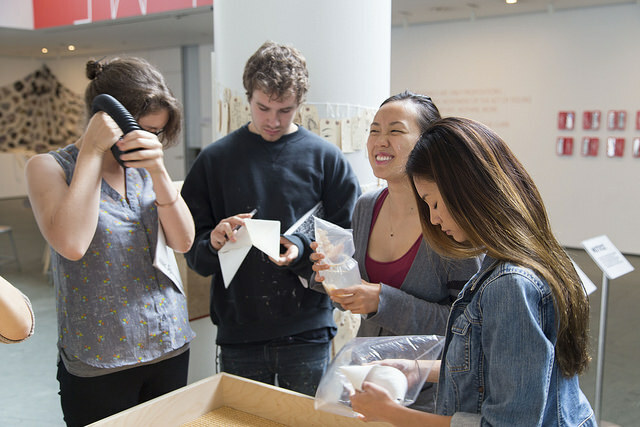 By working with an artist on a day-to-day basis, participants gain a view of their near futures as artists, learning models for negotiating a creative life outside of school. 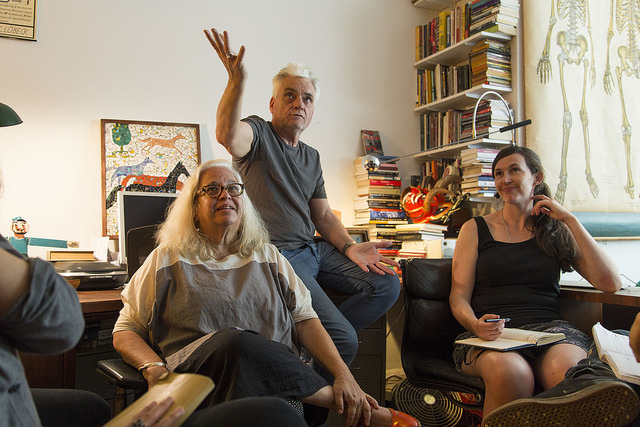 Mentors for 2014 include: Pablo Helguera, David Horvitz, Jen Liu, Mary Mattingly, Jennifer and Kevin McCoy, Sara Greenberger Rafferty, Brad Troemel, Letha Wilson, Andrew Norman Wilson with several to be added prior to the March 15th application deadline. 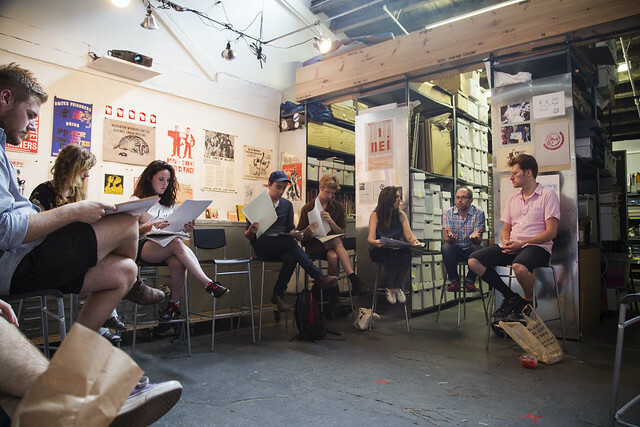 Last year’s mentors and visitors included: Cory Arcangel, Chloe Bass, Alexander Benenson at Bitforms, Nova Benway at the Drawing Center, Sarah Butler, Nicole Caruth at Art21, Andrea Champlin, Sara Dierck, Brendan Fernandes, Courtenay Finn at Art in General, Carla Gannis, Claudia Hart, Pablo Helguera, David Horvitz, Marisa Jahn, Nina Katchadourian, Steve Lambert, Sherry Millner & Ernest Larsen, Simone Leigh, Matt Levy, Jen Liu, Kristin Lucas, Josh Macphee, Candice Madey and Courtney Childress at On Stellar Rays, Mary Mattingly, Joe McKay, Memefactory, Stephanie Pereira at Kickstarter, Sara Greenberger Rafferty, Magda Sawon and Tomas Banovich at Postmasters, Brad Troemel, Penelope Umbrico, Andrew Norman Wilson, Dan Wilson, Letha Wilson, Sam Wilson at Klaus von Nichtssagend, Caroline Woolard, and Kevin Zucker. 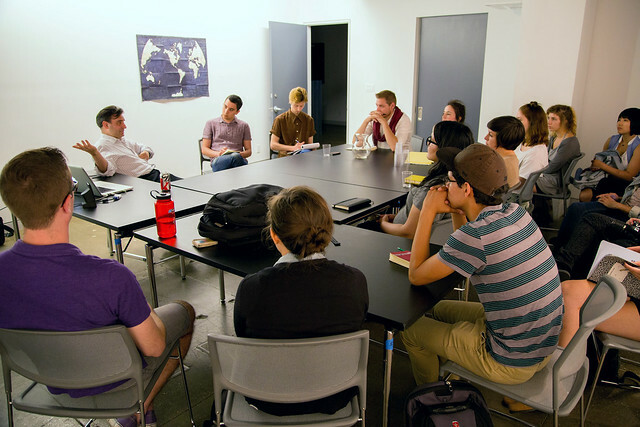 The 8 week New York Arts Practicum runs from June 9th to August 1st, 2014. The application deadline is March 15th, 2014. Academic credit is earned through arrangements with participants’ home institutions. Final critique at Interference Archive with Josh Macphee. 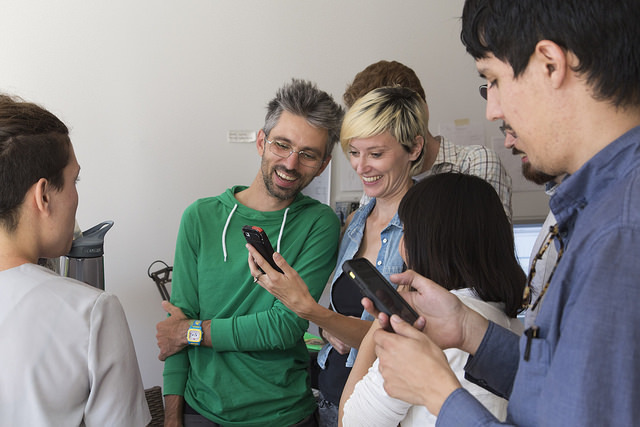 Final critique with Brendan Fernandes. Our last meeting of the summer was with Nina Katchadourian. She talked to the participants about her creative process, and in particular, her on-going project of making art during airplane flights. 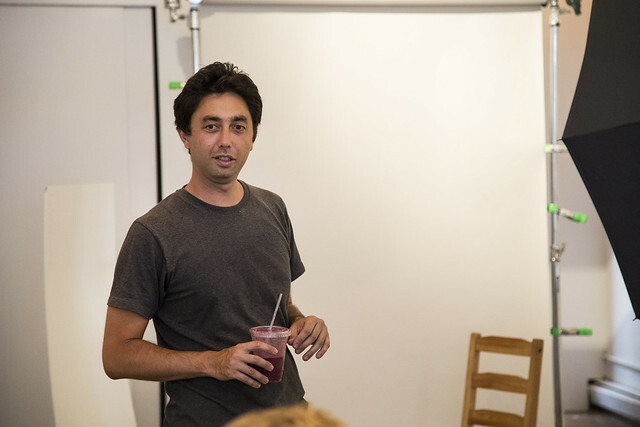 David Horvitz joined us at his exhibition/residency at Recess in Soho for a critique. David showed us some of his work, including honey locust seedlings he grew from seeds he collected from the trees at Zuccotti park. He also took photos of us posing as “sad” as part of his “Sad, Depressed People” series. Stephanie Pereira of Kickstarter talked to the participants about what it takes to create a successful campaign on their site, which is really a proxy for any kind of grant writing. The secret: telling a good story. 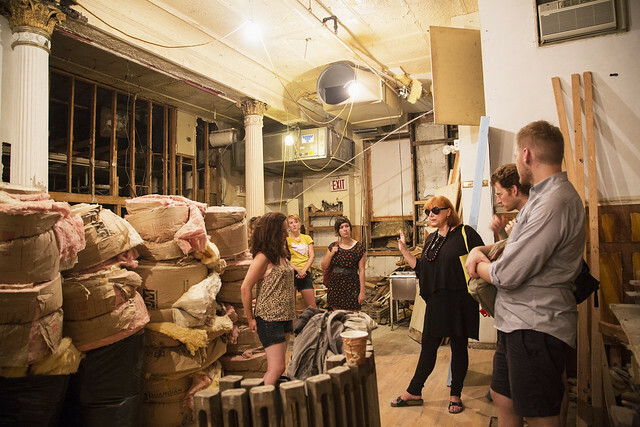 Magda Sawon and Tamas Banovich of Postmasters showed us what will become their new space. 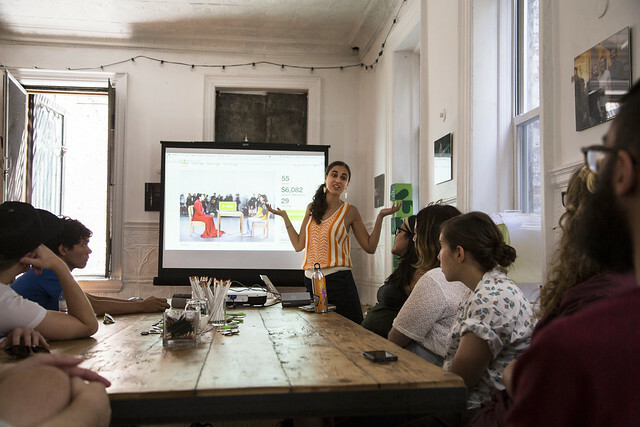 Penelope Umbrico speaks with the New York Arts Practicum about her work.